Mandolin tuning is so incredibly important, and something you'll definitely want to master before you even think about playing with anyone else. If your mandolin is not in tune, it doesn't matter how good you are - it's just not going to sound good. If you're new to learning mandolin, tuning a mandolin is not exactly an intuitive process… As Mike mentions, there's a saying that goes: if you've been playing mandolin for 30 years, you spend 15 of those years mandolin tuning and the other 15 years playing out of tune. The truth is, it takes a lot to tune a mandolin and get it right, but the good news is that there's many who have come before you. So pay attention to this tutorial all about mandolin tuning from Mike Marshall and learn how to tune a mandolin from a master. The mandolin is tuned the same as a violin or fiddle, except instead of 4 strings it has 4 pairs of strings (two E Strings, 2 A Strings, 2 D Strings, and 2 G Strings), making it twice as hard to get in tune. There are also several different methods of mandolin tuning, each with their own advantages and disadvantages. Electronic tuners (D'addario's NS Micro Tuner for example) are popular, and are great because it keeps everything at 440 Hz (which is the general tuning standard for musical pitch). But as Mike mentions, they're not perfect - and it's not a great idea to rely on tuning a mandolin with your eyes rather than your ears. Remember, electronic tuners are a relatively recent invention (the original strobe tuners date back to 1936), and it is important to not forget the roots of mandolin tuning - which is with our ears. Tuning with an electronic tuner is fairly simple: you match the string to the note on the tuner visually until it's correct with the light turning green or the cable comes up the center. But mandolin tuning becomes more difficult because of the pairs of strings, so when you pluck the G string you may be hitting the other one along with it. So, when one string is out of tune they'll both sound out of tune - so it's important that both strings are tuned correctly. Here's a mandolin tuning tip: use rest strokes to isolate the individual strings of each pair. Rest strokes are when you hit the string with the pick and then let the pick rest on the string below it, thus muting it. So for the G Strings for example, start by hitting the top G String and let the pick rest on the G String below it. Then once you have the top G in tune, pull the pick the other way and let the pick rest on the top G. This sort of string isolation is essential in mandolin tuning, otherwise you'll never be able to hear the individual strings. Mike typically begins his mandolin tuning with the A Strings, getting them right where they need to be at 440 Hz. And here's a tuning tip from Tony Rice that Mike picked up along the way: tune the string up to the pitch you want as opposed to down. By doing this, you're allowing the tension in the string to settle towards the gear - which is what you want. In contrast, by tuning down to the pitch there's a risk of tension getting caught behind the bridge or behind the nut, and as you play that tension will release and the string will go flat. So by pulling the string up to tune, you'll pull the tension right out of the wire and it will become more stable. So go through the remaining strings repeating this process to get each string in tune. Remember to tune way down below the pitch so you can tune the mandolin up to where it needs to be. Using an electronic tuner will get you pretty close, but it's always a good idea to check and see how the strings sound together by manually running through each pair. The next thing to do for mandolin tuning is to check your octaves. Playing a high and low version of the same note on two different strings will help you hear how in tune you are. Start by playing an A note on the second fret using the low string, and check it against your A String pair below it. Then do the same thing for E by matching an E played on the D String to your E String pair. You'll may notice that you need to do some slight adjusting to match these octaves, which is fine because mandolins don't alwyas match notes perfectly. So, your results for this will vary from mandolin to mandolin, depending on the action. But be sure to make any necessary adjustments when checking the octaves - you want them to sound as close to perfect as you can get. Another thing to check during tuning is the note on the 12th fret, which is the middle point between the bridge and the nut. Here you want to make sure the 12th fret is in tune with the harmonic version of the strings (harmonics are when you barely touch the string while playing it, not fretting it). Playing harmonics on the 12th fret of the mandolin should sound exactly one octave above the open note version. Mike also shows you some different octaves and harmonics you can tune to in this lesson. Check it out, and then get that mandolin in tune! 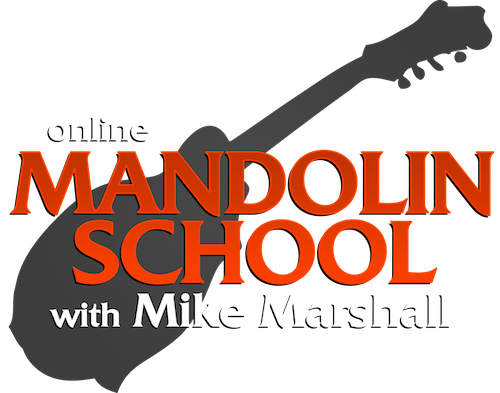 Mike Marshall teaches mandolin online at ArtistWorks, click here for free sample lessons!